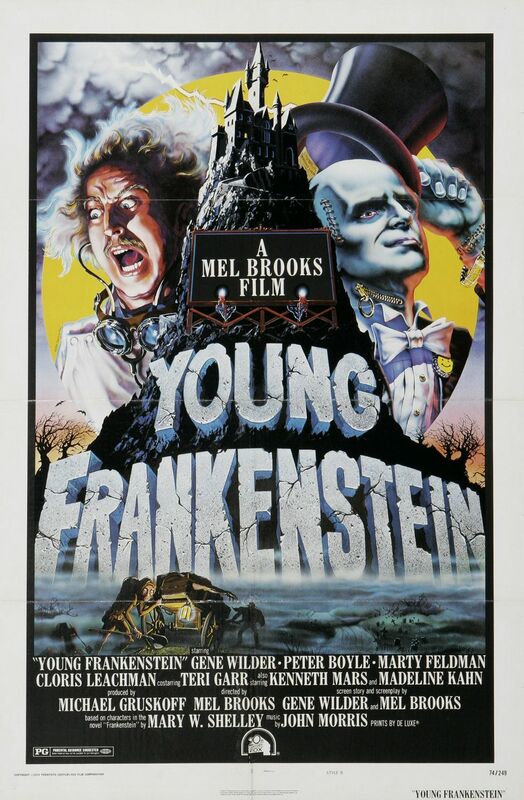 What It’s About: Dr. Frankenstein’s grandson (Gene Wilder) inherits his grandfather’s castle and repeats his experiment, creating another monster (Peter Boyle). Can Frankenstein the Younger save his monster and avoid his grandfather’s fate? Why Watch it Today? : James Whale’s Frankenstein, which created the standard version of the Frankenstein story that Mel Brooks thoroughly and lovingly parodies in today’s film, was released 80 years ago today. Other Choices: Sequels Bride of Frankenstein and Son of Frankenstein; Dracula vs. Frankenstein (which uses the same electrical equipment for effects); earlier spoof Bud Abbott and Lou Costello Meet Frankenstein. This entry was posted in Adaptation, Based on a Book, Black and White, Comedy, Horror, Independent, Mad Scientist, Monster, Movie of the Day, Period Film, Remake, Sequel, Slapstick, Spoof, The Original, Unofficial Sequel and tagged 20th Century Fox, Best Adapted Screenplay Nominee, Best Sound Nominee, Cloris Leachman, doctor, Frankenstein, Gene Hackman, Gene Wilder, hermit, homage, it's not over, Ken Strickfaden, Kenneth Mars, Madeline Kahn, Marty Feldman, Mel Brooks, Teri Garr.